Ald. 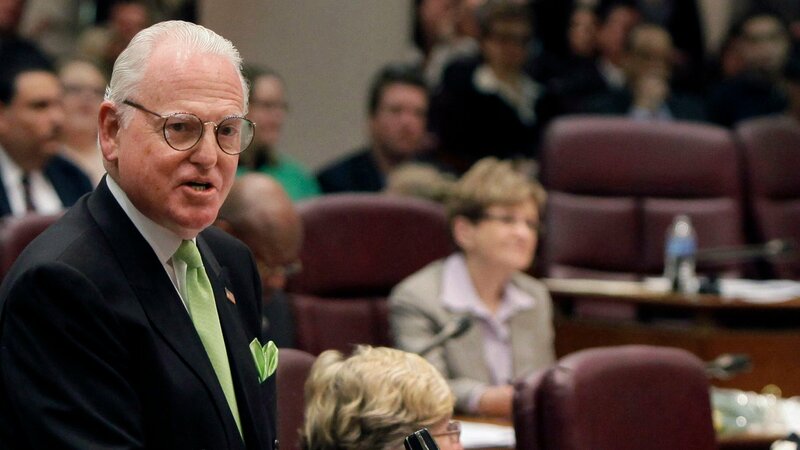 Ed Burke, former chair of the City Council Finance Committee and arguably City Council’s most powerful member for much of his 50-year reign, had various ways of dishing out perks and favors to colleagues. One of those, apparently, was to help some aldermen pay their bills. Burke approved the use of Finance Committee funds to pay for things like aldermanic travel and an office phone system, according to records obtained by WTTW News. According to documents, the Finance Committee reimbursed outgoing 49th Ward Ald. Joe Moore more than $24,000 in travel expenses from 2014 to 2018. Moore incurred the expenses by attending semi-annual meetings of the National League of Cities, an association and federal lobbying group for municipal lawmakers. Moore says he represented the city of Chicago at those meetings, and that he was always told to submit his travel reimbursement to Burke and the Finance Committee instead of the city’s budget office. Records show that Burke’s Finance Committee also reimbursed outgoing Alds. Pat O’Connor (40th Ward) for $929 in 2017 and Margaret Laurino (39th Ward) for $3,363 in 2018 for trips to National League of Cities meetings. A spokesperson for Laurino says that the National League of Cities meeting was a valuable way to meet other colleagues and come up with legislative ideas. The spokesperson says that former 28th Ward Ald. Ed Smith instructed her to submit her travel expenses to Burke’s Finance Committee. In 2017, records show the Finance Committee helped pay for a new telephone system in outgoing Ald. Ricardo Munoz’s 22nd Ward office. Munoz submitted bills to the Finance Committee for phone payments to AT&T totaling around $10,000 in 2017. “Will the two of you coordinate with Alderman Munoz re: down payment and final payment. EMB (Edward Michael Burke) approved,” said one top Finance Committee staffer in an email to other staff members. WTTW News previously reported on Burke’s habit of loaning out staff workers to aldermen, free of charge. Alds. Nick Sposato (38th), Matt O’Shea (41st), Marty Quinn (13th), Walter Burnett (27th), Brian Hopkins (2nd), Gilbert Villegas (36th) and Ray Lopez (15th) have all taken Burke up on the offer. Most of those aldermen told WTTW News that they never felt pressured to return the favor to Burke. Ald. Michele Smith (43rd) introduced an ordinance earlier this year that aims to end the practice of City Council committees loaning out staff members to work in the ward offices of individual aldermen. Burke stepped down from his perch as chair of the Finance Committee in early January, a day after being charged with one federal count of attempted extortion. He defeated his challenger to win another term on City Council, but faces a possible federal indictment in the next month.